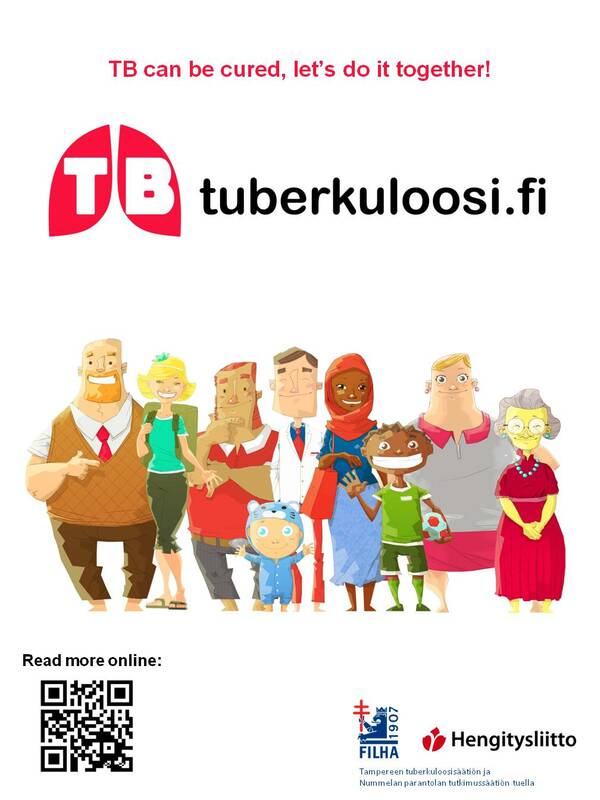 tuberkuloosi.fi-poster can be used to spread information about this web site. 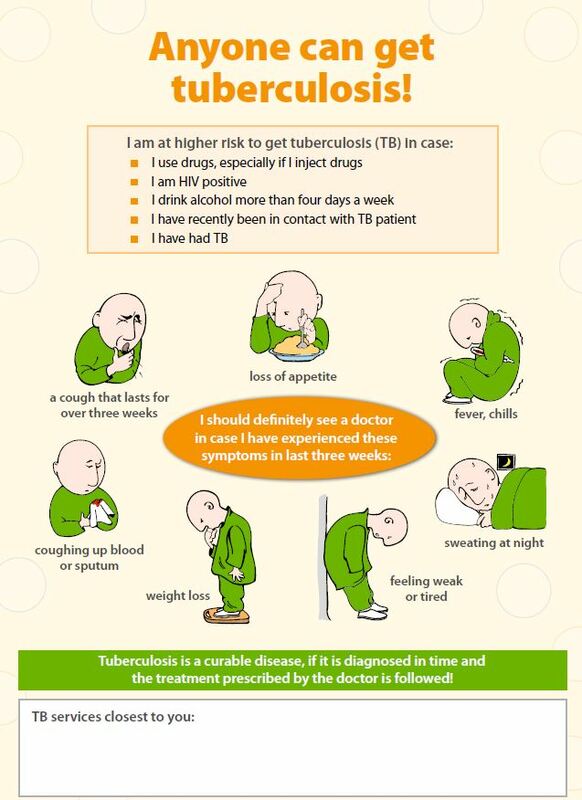 These posters were developed in the TIE-project (Prevention and early detection of TB and HIV among young asylum seekers) in 2014 together with the animations. Design by Constantinos “Gogi” Mavromichalis. 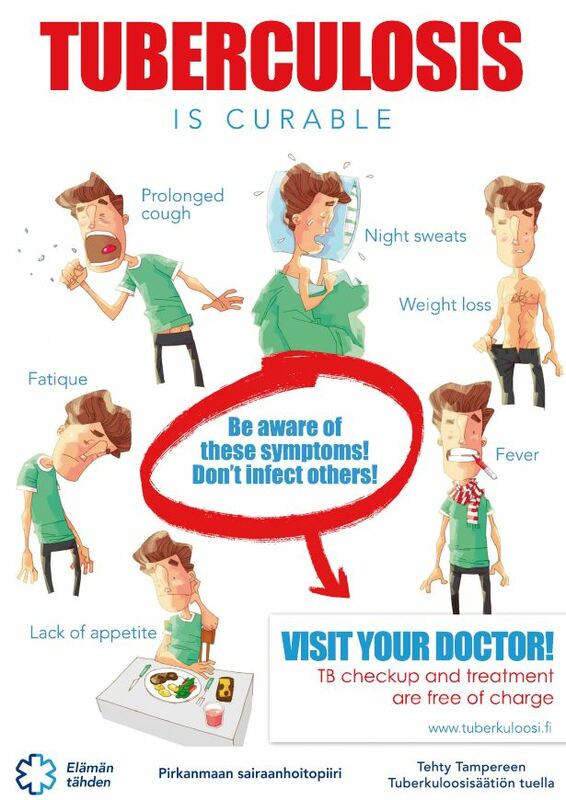 The European Refugee Fund participated in the funding of the TIE-project. 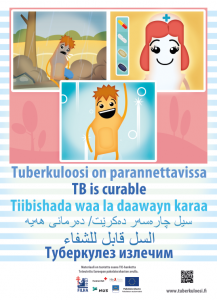 The Pirkanmaa health district has produced poster about tuberculosis in Finnish, Swedish, English and Russian languages. Design by Juha Harju. 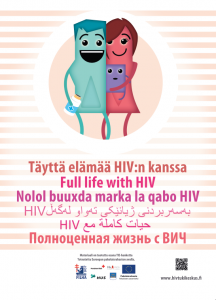 on the web site of the Estonian National Institute for Health Development.